Dogs are the most social animals on the planet, second only to humans in their ability to read and understand emotion. Even chimps and bonobos, our closest genetic relatives, are no match for dogs when it comes to social cognition. Jennifer Arnold understands this better than anyone, having spent the past 25 years training service dogs for people with disabilities at Canine Assistants. She is a pioneer in the emerging field of "bond-based" dog training. 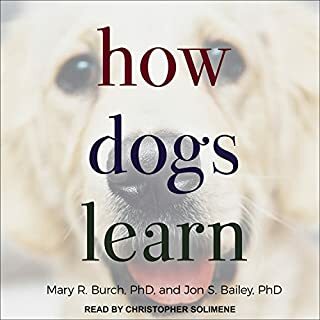 Best book I have ever read about dogs. Period. ©2017 Patricia McConnell (P)2017 Simon & Schuster, Inc. I have listened to many books and I must say, this one surprised me. I was expecting a sweet dog story, which would have been fine. As a dog lover, I'm fine with hearing a good dog story now and then. But this is so much more! I think I can honestly say this book is going to change my life. This book reveals the author's personal journey through some very difficult situations that, although different from my life, helped me realize that I have some things I need to address from my own past. And the information shared about her dog and the work she has done with other dogs is going to help me tremendously in working with my 2-year old rescue. I am so glad I downloaded this book! The narration is excellent, the story is compelling and the author does an excellent job sharing her life story. I highly recommend this book! I once had a greyhound EXACTLY like this! And the intestinal explosions she describes--well, there is no way to describe them until you have lived them. I once went into a kitchen at 3am so utterly sprayed with diarrhea that one would have thought it had been sent from a garden sprinkler at full go. And the mindless barking and panic attacks! Man! (The thought that came from several directions, given the whole array of Fiona's symptoms was that some pervert had been using her for beastiality, and it took a year and a half to really get her settled at all, and she stayed a nervous dog her whole life.) McConnell does a good job of telling the tale of a troubled hound and a troubled person. She can get a bit purple in her prose at times, thinking herself more poet than dog trainer, but it's not bad, and I still give it five stars. I was spellbound all the way through this book. 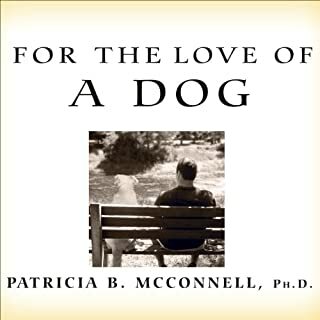 Patricia McConnell is an excellent writer - she has several other books about dogs - but this is different. This one is not only about the difficulties one of her dogs experienced, it's about her journey, and how she has overcome the effects of trauma on her psyche and life. Truly an excellent memoir. And the narrator is excellent as well. A tale of healing and triumph over suffering. 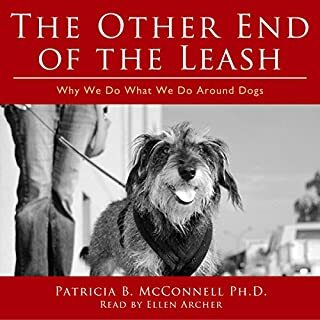 I have read several of Patricia McConnell's dog training books, and found them to be full of practical advice, with many examples from her long career working with dogs that have behavioral issues. 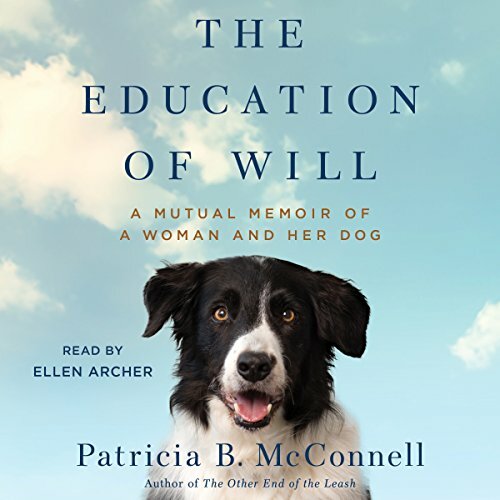 In this book McConnell describes her own journey with her border collie, Will, who has severe anxiety and also sustains serious physical injuries that required many months of rehabilitation and healing. In the course of her treatment plan for Will, Tricia begins to confront some dark and traumatic incidents from her past, and to heal herself in the process. The book is written from an honest and cathartic viewpoint. 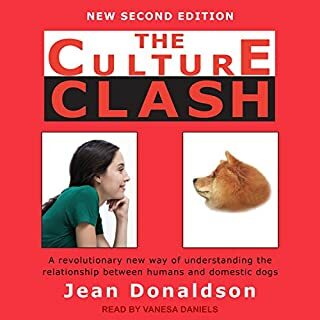 It is encouraging to hear how a renowned expert struggled with her own dog's behavior. I had great sympathy for Tricia's trauma in her past and, as the story unfolded I found myself rooting for both of them. The story is written from the perspective of a survivor, not a victim, and Tricia gives an honest description of what it took to make that transition. A wonderful book about loss, trauma, work and recovery. Both human and dog traumas are discussed with care and gentleness. I so enjoyed listening to this book. Parts were painful, others joyous, some funny, some sad. Just a wonderful read. The performance is very good. I will look for other books read by Ellen Archer. The author has had a compelling journey and triumphed over adversity with grace. The two star rating is because it was drawn out too much and repetitive. It could have been recounted in much less time with more impact. I fast forwarded through much of the second half. Nice story but not well written. 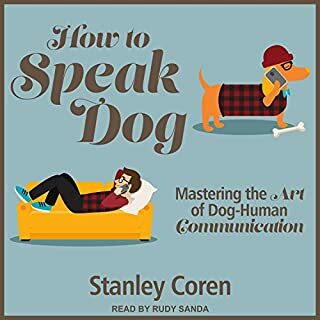 Still enjoyed it and would recommend to dog lovers. I highly recommend this book to trama survivors and dog lovers. This book has been an emotional rollercoaster and I couldn't recommend it more! This book is not directly about dog training, but about Patricia's battle with both her PTSD and her dog, Will. Wow! Rambling, disconnected, and depressing. 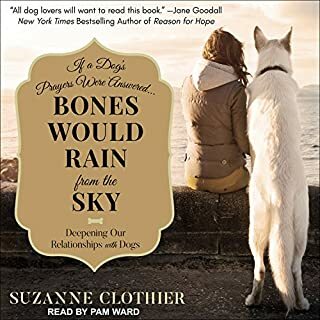 This deals with difficult subjects but the most agonizing was the author's PTSD and how it colored her interactions with, and shaped this poor dogs life.